Poetry Urban Mural Project, or PUMP, facilitates dynamic, interdisciplinary collaborations between kids, poet-teachers, and visual artists to create original works of public art in schools, playgrounds, and community spaces. Read more about what we do HERE! 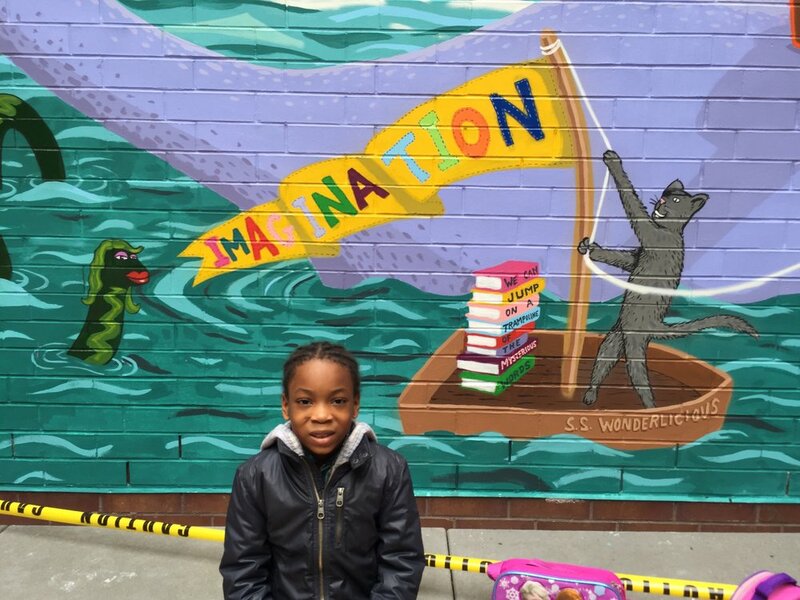 2nd grade students at PS 51 in Manhattan writes poems in response to the freshly completed mural by artist, Nick Kuszyk. Spring 2018. We believe in creating opportunities for children to express themselves through imaginative writing, and we have learned through experience that their voices have the power to awaken, delight, and inspire. We believe that when young people collaborate with professional artists, they learn that grown-ups also place great value on imagination and self-expression. In turn, the artists are inspired by the creativity of the kids, and they translate this experience into original works of public art. 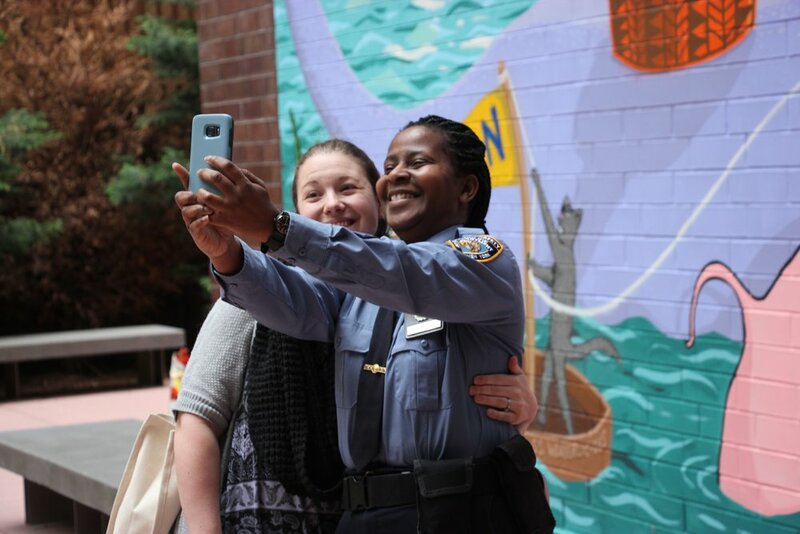 We believe in fostering an inclusive, collaborative relationship with the diverse communities that we are serving. We believe that the most effective and enduring works of public art are not merely decorative; rather, they make bold statements about the identity and the values of the individuals within a community. Read about our latest project HERE!